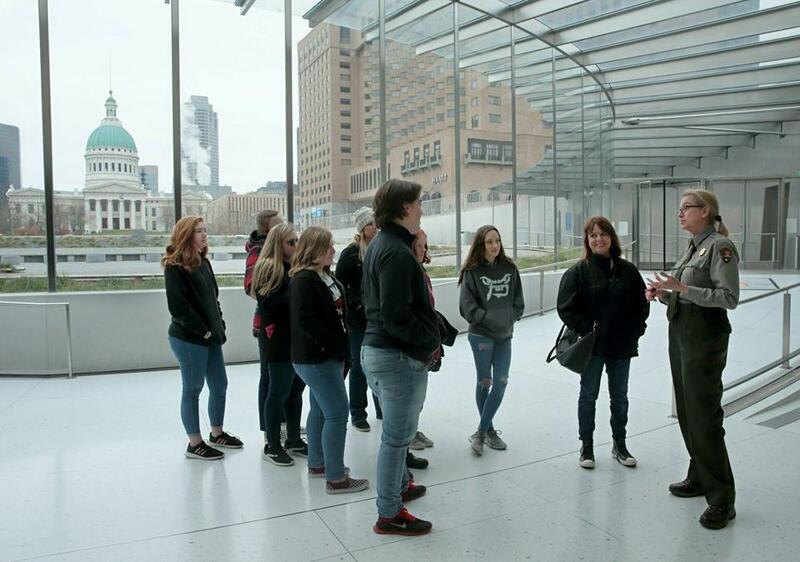 Park ranger Rhonda Schier welcomed visitors to the Gateway Arch in St. Louis on Sunday, the day of its reopening. WASHINGTON — An avalanche of e-mails, backlogged permits, lapsed contracts, and stalled payments to low-income Americans will face the hundreds of thousands of federal employees who return to work Monday. For 35 days, they waited out the shutdown of nine Cabinet agencies and dozens of smaller ones. Now they’ll face a massive bureaucratic reboot. A return to normal operations could take weeks or even months. The National Park Service will need to restore basic amenities at hundreds of parks and monuments, removing accumulated trash and plowing multiple feet of snow. The Bureau of Indian Affairs must quickly issue grants to head off food shortages and a health care crisis for tribal members whose funding was cut off. Inspectors returning from furlough to the National Transportation Safety Board will have to decide which of the almost 100 rail, plane, and highway crashes to investigate first. And the Internal Revenue Service will race to train employees to implement changes to the tax code and hire thousands of temporary workers for tax season. ‘‘I’m so ready to go back to work,’’ said Laura Barnaby, an international trade specialist with the Commerce Department. She was so anxious to dig into her backlog she planned to log in to her computer from home on Sunday. Barnaby’s immediate concern is a blown deadline for a prestigious presidential awards program for exporters, ‘‘a big deal in my little world,’’ she said. After that, she intends to tackle the fact that her group of companies advising the US government on an upcoming trade pact with the United Kingdom missed multiple meetings. The first order of business for her and more than 350,000 others who spent the shutdown at home will be simple office tasks, including new passwords for computers. Timecards will need filling out, so payroll staffs know who was furloughed, worked without pay, called in sick, earned overtime, or a combination. Then there will be the reorganizing. After the shutdown was announced in December, agencies had four hours to close. Employees had just enough time to drop off work laptops and record voice-mail greetings. Many returning workers will find their offices in a holiday time warp. Programs will need to be restarted, a process that can involve many layers of bureaucracy and boxes to be checked. Private contractors may have reassigned employees who had been working on projects put on hold during the shutdown, said David Berteau, chief executive of the Professional Services Council, which represents workers at roughly 400 private government contractors. Even employees who are anxious to get back to work say they feel paralyzed by what comes next. When she steps into her office at NASA’s Goddard Space Flight Center on Monday morning, astrophysicist Julie McEnery knows exactly what she’ll do first: water her plants. But then? As project scientist for the Fermi Space Telescope, which surveys the cosmos using the highest-energy form of light, McEnery was called into Goddard a couple of times this month to take care of specific tasks related to the maintenance of the telescope. To boost morale, several agencies are planning welcomes for their staffs. The Peace Corps is holding an official event for returning employees at 7:30 a.m. Monday. But many workers say they’re still anxious. They won’t see the back pay they’re owed until later this week. And President Trump has threatened another closure in three weeks if his demands for border wall funding aren’t met. Several federal managers said their agencies still cannot issue or announce new grants with the uncertainty of such a short-term budget. A senior manager at Homeland Security who spoke on the condition of anonymity because he is not allowed to speak publicly said he is allowing his staff to work from home until they have back pay cash in hand. For offices in which staffs were essentially entirely furloughed, the return to normal operations could be particularly slow. The EPA, for example, must now update its enforcement actions database, which has been idle for more than a month, along with other key computer registries and air and water permits across the country, a senior administration official said. Agency experts had stopped certifying that new auto models meet air standards, slowing Fiat Chrysler’s plan to bring in a model of a heavy-duty commercial work truck, officials said. The Food and Drug Administration will start taking new drug and medical device applications, but agency officials acknowledge they may not fully catch up for almost a year. Then there will be the physical messes to clean up. At Mount Rainier National Park in Washington state, where no snow has been plowed since before Christmas, staffers must clear a highway stretching several miles uphill, 2,500 feet in elevation, to the main visitor center, along with a large parking lot now covered by at least 3 feet of snow, with 7-foot drifts. The IRS told lawmakers last week that the agency will be buried in millions of unanswered taxpayer letters, weeks behind schedule on training, and short thousands of new employees for this tax season, according to two House aides who were not authorized to speak publicly on the matter. The National Taxpayer Advocate Service, a government watchdog group, told House staffers it will likely take a year for the IRS to run normally again, the aides said. The reopening of the Smithsonian scheduled for Tuesday will mean much more than the return of visitors. Deadlines for upcoming exhibitions have passed. The National Gallery of Art has been unable to prepare for its much-anticipated Tintoretto show, set to open March 10. It’s the highlight of its spring calendar — the first North American retrospective of the Venetian artist — and the staff is worried about a potential delay. Federally funded science research could take a long time to recover too, scientists said. At the National Science Foundation, there’s a backlog of nearly 2,000 research grants waiting to be reviewed, on subjects ranging from cyberinfrastructure to earth sciences. More than 100 panels of outside scientists were canceled during the shutdown. Rescheduling will be a massive undertaking. In the Equal Employment Opportunity Commission office, where employees file harassment and discrimination complaints, one counselor said 150 to 200 cases will be waiting when they return.